Who needs another blog if the one you have is already reasonably successful? Well, I do. That is because that other blog is about the ArchiMate enterprise architecture modelling language and this one is about enterprise architecture in general. And I don’t want to bother people who are interested in ArchiMate, but not interested in YAB (yet another blog) on enterprise architecture, with posts about this more general subject. And vice versa. 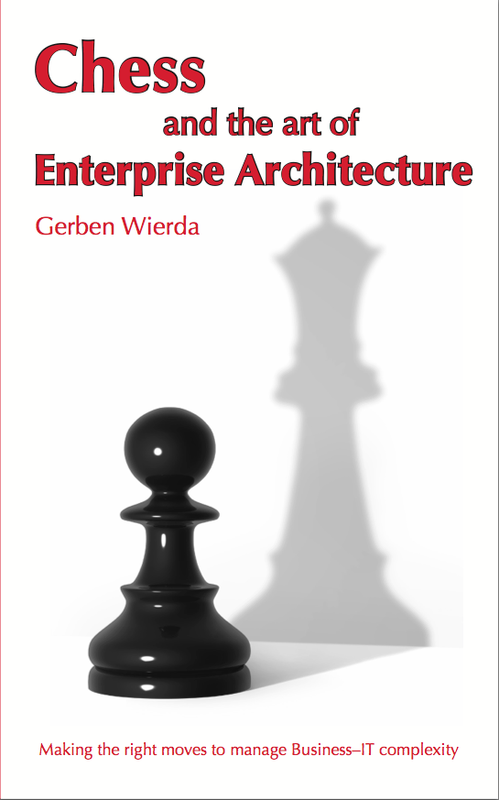 I do not want people who are interested in enterprise architecture, but are not interested in using ArchiMate, to read about ArchiMate modelling puzzles and so forth. I happen to be convinced that modelling is a key part of successful enterprise architecture. But that does not depend at all on the modelling language used. Anyway, stay tuned for more about enterprise architecture (and the book — draft cover on the right) on this blog.